I have a degree in mechanical engineering, and though I’ve spent the better part of the last two decades working with ERP software, it seems I’m an engineering nerd first and software geek second. Sometimes that engineering nerd leaks through when working with ERP software. Many times over the last 20 years or so, I’ve encountered the Second Law of Thermodynamics in action. What does that have to do with ERP systems? It’s actually a great analogy to what I observe time and time again. The second law deals with Entropy. 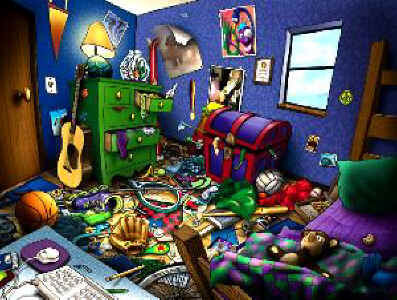 Entropy can be defined as a property of a closed system and is a measurement of the amount of disorder in the system. Organized = low entropy. Chaos = high entropy. My wife’s closet = low entropy. My basement shop = high entropy. The second law says, left to itself, the entropy in a system will either stay the same or it will increase (become more disorganized). It never decreases by itself. In order to decrease entropy, you have to add work. You see this all the time. A common example is adding some sugar to a beverage. It may sink to the bottom at first, but it will eventually dissolve, becoming diffused through the beverage. It has gone from an ordered state of a solid to a less ordered state of a solution. The sugar will not, by itself, “un-dissolve” to the bottom of the glass again. If you want to get the sugar out, you will have to do work. You see it every day next to the kitchen sink as dirty dishes, or the clothes on the floor in the kid’s bedroom. Or the autumn leaves in the yard, or the general state of the garage. Entropy is all around us, and it’s always increasing unless we work to reverse it. I see this also applying to ERP software. ERP software is all about making order from chaos. It allows organizations to know the financial position of the company, or the state of inventory in the warehouse, or the planning of materials in manufacturing. Companies see features like locations in warehouses, or item lot control, or multi-dimensional accounting; and they think they can get better control over their business processes. And they can. But they forget that they are trying to reverse entropy and that requires work. ERP systems promise to make it easy to add control. Just create locations in the warehouse so everything has a place. Or add commodity codes to the part numbers so you can report on them. Or have a gazillion ledger accounts to track the most minute cost. If that is what your business needs, great. But regardless of what the ERP system promises, remember that essentially what you are asking for is a reversal of entropy. If the organization is not willing to put in the work to maintain the commodity codes, or mapping costs to ledger accounts, or making sure everything is in its place in the warehouse; you can actually end up with more chaos. When implementing ERP systems, or any system for that matter, organizations should think about the effort required to maintain that system and if they are willing to expend the effort and define who is responsible for the effort. I have seen many instances where an organization decided to put a control in place, but never assigned responsibility or allocated the resource to maintain it, and as a result ended up with more entropy than when they started. Entropy… it’s so prevalent we don’t even notice it unless we think about it. But when it comes to ERP systems, we need to be mindful of it when making configuration decisions. Based in the OST Minneapolis office, Dave Trayers is the Business Development Manager of the OST ERP team with over 17 years of Baan/ERPLN experience. A native of New England, Dave holds a degree in Mechanical Engineering; and before getting into IT worked in diverse fields ranging from nuclear attack submarines, aerospace materials, snack food production and automotive tools. He’s held the position of manufacturing engineer, production supervisor, engineering manager and operations manager. Immediately prior to joining OST, Dave was the IT Director for Nilfisk, a manufacturer of commercial cleaning equipment in Plymouth, MN and throughout North America. He helped implement Baan IV in the late 90’s and two major upgrades to ERPLN (FP3 and FP7) since. Nilfisk made several acquisitions over the years, so Dave has lots of experience in bringing new facilities into ERPLN. Dave lives in Minnesota with his wife Liz. He has two grown daughters, one in college and the other lives in Washington, DC. In his spare time, Dave is a part-time professional photographer, and enjoys golfing, cycling, sailing and target shooting. He is also chair of the board of Saint Paul Ballet, which means he has very little time for golfing, cycling, sailing and target shooting. A number of years ago I was interviewing for the Information Technology Manager position at a commercial furniture company in the Grand Rapids, Michigan area. From an initial perspective, the role looked like a great fit for me, a solid company which wanted to grow and do great things in a niche market and an immature information technology strategy. As I was interviewing with the President of the company, he and I were sitting in his office discussing the role and our respective approaches to technology and leadership. They were a year or so into (and digging out from) the implementation of an Enterprise Resource Planning (ERP) system which had not gone well at all. They were struggling with communication to their market and independent rep sales force and they were experiencing consistent outages and failures of technology and systems. They really needed help from someone who could come in and get their arms around the situation and have fast, meaningful and positive impact. We were having a great discussion until I asked him to whom the IT Manager would report, and his answer was the Controller. At this news I told him that with all due respect in this case I did not feel like this would be a good position for me, and I did not want to waste any more of his time or that of the organization. As you might guess, this declaration took him by surprise. To his credit (and my relief), he was intrigued and asked me to explain my position. The ability to make “widgets” at a higher quality in order to increase customer satisfaction and drive market sales. The ability to make “widgets” cheaper and therefore drive higher margins which left more capital to invest in the organization. The ability to deliver accurate invoices quickly in order to realize improved cash flow and lower accounts receivables this yielding the opportunity for better financing and faster response to markets. The ability to drive external branding driving more clients to the door improving sales and results. The ability to manage order to cash – allowing for efficiencies and higher profits allowing for further investment in the organization. The ability to communicate quickly, efficiently and accurately with all links along the supply chain from supplier through customer. I went on to explain that the person who was tasked with leading a part of the organization which was charged with driving competitive advantage needed to clearly understand the strategies and goals of the organization at the highest level. That person needed to be a part of the leadership team of the organization, reporting to the person tasked with developing and driving the strategy, having visibility to the goals, and strategies That person needed to be focused on and integrated with the entire organization and should be viewed as a part of the strategic leadership of the company. Having the IT Manager report to the Controller was a sure way to stifle the creative leveraging of information technology for competitive advantage. The viewpoint of the Controller’s team is centered around cost efficiency, low risk projects, back office operations and financial pressures. Investment designed to drive competitive advantage could be stymied as being too expensive or risky before it ever reached the eyes of the staff or president. A focus on cost reduction would run counter to enhancing strategic direction. We spent some time exploring this idea, and he promised to give it some thought. In the end, he offered me the position, reporting to him. I accepted and spent twelve great years providing leadership in various roles from IT Manager through Vice President of Technology and Customer Satisfaction. Why do I tell this story? Because it sets the basis for a further discussion around focus within an IT organization and how that focus can be enhanced. If we accept the premise that the purpose of information technology within an organization is to drive competitive advantage, how does that stance influence the structure and direction of the information technology team? My contention is that it should influence the team to focus on those things which provide the greatest competitive advantage and value to the business, and should offload those things which do not. Plotting IT initiatives (projects or services) into the different quadrants based upon the amount of domain business knowledge (vertical axis) required to successfully complete or implement the initiative and the amount of competitive advantage (horizontal axis) that the initiative will drive yield a very clear indication of those upon on which the information technology team should be focused. Lower Left Quadrant – Requires a low level of knowledge of the business and does not drive competitive advantage. Upper Left Quadrant – Requires a high level of knowledge of the business and does not drive competitive advantage. Lower Right Quadrant – Does not require a high level of knowledge of the business and does drive competitive advantage. Upper Right Quadrant – Requires a high level of knowledge of the business and drives a great deal of competitive advantage. Clearly the information technology team should be focusing on those initiatives which fall into the upper right quadrant. The amount of domain business knowledge required indicates that we need people who are already within and understand the business, and the high level of competitive advantage yielded shows the importance of the effort. Outside influencers to initiatives within this quadrant should be selected to fill gaps in the existing team and bring specialized knowledge and capabilities. What of the other quadrants? At the upper left we have initiatives which require a great deal of business domain knowledge yet yield little competitive advantage. These initiatives should be examined and questioned. Why are we doing this? Is there a different way that we should do this? If it is determined that an initiative should be pursued in spite of the low competitive advantage yield, then how can we do it without impacting our team of highly business knowledgeable people? In other words, with whom can we partner to make these projects happen? At the lower right we have projects which require little in the way of domain business knowledge yet yield great competitive advantage. We will absolutely pursue these projects, so how can we do so without impacting our team of highly business knowledgeable people? These initiatives are ripe for being handed off completely to a trusted partner with only minimal involvement by existing IT staff, so who can we employ to make sure these initiatives get done right and in a timely manner? And that brings us to the lower left quadrant. initiatives which require very little domain business knowledge and bring little competitive advantage. When we have initiatives which fall into this quadrant yet we know they must be done, it only makes sense to pass them off completely to someone else to take care of. Why would we ever impact the time and efforts of our business knowledgeable people when we can just pay someone else to take care of things? This quadrant is the one which lends itself very clearly to the idea of outsourcing projects or services. Gartner has consistently used the terms “Run”, “Grow” and “Transform” in recent years to try to help IT leaders to focus on what is important to their organization and teams. If we layer those terms over the graphic above, we get a representation of how those terms map very nicely onto our initiatives. Okay… so let’s address the elephant in the room, “outsourcing.” The term outsourcing brings a bad connotation to many people. They associate it with layoffs and people losing their jobs. They associate it with loss of control and endless fighting with suppliers to get things done. It is too bad that the term carries this impression, but it does – and rather than fight that uphill battle we will instead refer to the activities we ask a partner to perform and lead as Managed Services. Managed Services can take many forms – but in the end it all comes down to paying another organization to take care of tasks which fall into an area where we deem that we have insufficient capabilities or insufficient time to focus upon them. In other words, we are going to pay someone else to take on services which free our skilled, knowledgeable people up to focus on things which bring competitive advantage. One of the advantages of using someone else to perform the services which do not require a great deal of domain business knowledge is that the focus they are afforded to pay attention to the details often yields a capability to perform the services more efficiently and with higher quality than we can ourselves. This means that they will actually do a better job and in the long run it will cost us less to accomplish the initiatives. There are other advantages to using Managed Services. Some are financial, having to do with certain organizations being better served to spend money on operational expenses (OPEX) rather than capital expenses (CAPEX). Some are technical, having to do with the fact that a team which manages many different clients sees many different situations and learns how to handle and prevent them more efficiently. In other words, the partner that is providing the services gets to learn on other client’s and bring the advantages to us. From a management perspective, it is fairly easy as well to set clear, documented and specific goals for a managed service provider, then let them go away and do the work and meet those goals while IT leadership focuses on the initiatives in the upper right quadrant. Here is the call to action for today’s IT Leadership: Focus your teams of talented, business knowledgeable technologists on initiatives which bring great competitive advantage and requires their skills and capabilities. Identify those initiatives which do not require your talented and business knowledgeable technologists and give them off in whole to someone else. Your organization, your team and you will all be the better for it! Most high school students start their working life with a fast food job or stacking boxes at a grocery store. My first employment was as a software developer. I thought I was pretty cool for a high school sophomore. Then I showed up for my first day of work. I cleaned the bathroom and mowed the lawn. I was pretty ticked. I thought I was coming in to sit in an air conditioned room and write code all afternoon and I wind up cleaning a toilet and mowing a lawn in dress clothes in the mid-summer heat.But I learned something once my pride cooled down a bit. Every business has jobs that have to be done if it is to run successfully. Bathrooms need to be cleaned; trash needs to go out; the lawn must be mowed. As a company grows, those jobs are quickly handed off to service providers who are all too happy to make money doing what others are too busy or good to do themselves. That experience taught me, though, that I’m never too good to do what needs to be done. If there’s paper towel on the bathroom floor, it’s worth the time to pick it up. If the trash can is overflowing, I can bag it up and take it to the dumpster. The little things say something about an organization. A clean, orderly bathroom leaves employees and customers feeling like they’ll be taken care of. Overflowing trash says no one cared enough to remove the eye sore.Maybe it is someone else’s job. But never become so important or wealthy that you can’t step in and help where help is needed. An employee watching a CEO take a bag of trash to the dumpster feels a bit better about helping the company day in and day out. A customer notices trash along your walkway that no one has removed.Manage the big things. Make tough decisions. But never pass by a chance to take care of the little things. They matter, too. This article originally appeared on Jeremy’s personal blog, nerdtoleader.com, where he writes about his lessons learned in IT field. 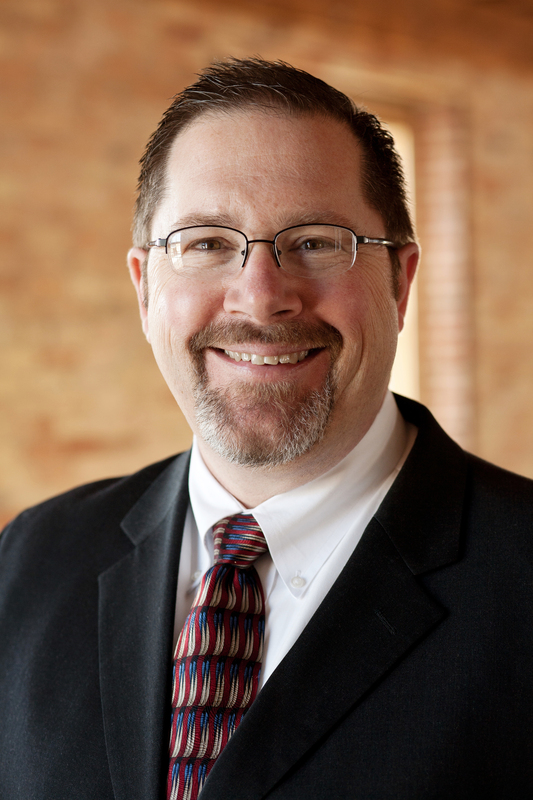 Jeremy Wise, a Greenville, Michigan native, has invested over twenty years in software development and business consulting. With a knack for high-quality software and a passion for helping businesses operate more efficiently, Jeremy is currently employed with Open Systems Technologies (OST) and is constantly spinning off new web ideas with a mission to help businesses across Michigan leverage computing horsepower to reduce cost, improve customer retention, and compete effectively in the twenty-first century. The directive and authoritarian model is one which works well for the military, but does it translate well into the business world? I would argue that in some cases it does, in modified form. The larger the organization, the more difficult it becomes to manage without directive leadership. A huge, multi-national such as General Motors or General Electric (they even sound militaristic) would be very difficult to lead without being structured and hierarchical. Another model, which closely aligns with the directive and authoritarian model, is one which is based upon fear. The boss is to be feared and if you don’t ask how high when she says jump there is a good chance you will be out on the street, and your family will starve while you search for cans to return at the Super Walmart. Not a pretty thought! No one wants to work in that sort of world, but it is so prevalent across corporate America. Why? I believe that it is because it is easy. Once the authority has been established and the direction has been stated, it happens. No more effort is required, no consensus building, no empathetic discussion, no input from anyone not desired or requested. I liken it to the rules around aspirin at the local high school. You will get suspended for bringing aspirin to school because the application of common sense is hard and fraught with risk for the school leadership. Therefore a blanket rule is enacted, and—voilá—it is all so easy now. Bring aspirin to school and get expelled. No “ifs, ands or buts” and no difficulty making the decision. These models do not work as well in great professional services organizations. The team is too smart, too motivated and has too many other options to stay in such an environment. And (by the way) those models aren’t any fun, and we better be having some fun because if you aren’t having any fun why would you stay someplace if you do not have too? Sounds simple right? Like with many things in life that is not the case. There are competing responsibilities around silly things like setting strategic direction, expense control, gross margin management and bottom line profitability which sometimes work at odds to being a servant leader. But the really cool thing is that while those are important responsibilities, they really do come second to the responsibility to provide servant leadership. Should it be that way at your company as well? So what does Servant Leadership look like? Here are some ideas for a servant mindset which might help to set the tone. Set the right priorities. Employees first, then clients, then profits. This runs counter to many other firms who put the client first. This is not an accident. My belief that if we serve our employees and take care of them, then they will serve and take care of our clients, and that in turn will serve and take care of profits. Ask the right questions. What can I do for you? How can I help you accomplish that goal? Who can I talk with to smooth the way? How am I serving your needs? What do you think we should do? Communicate clearly. Don’t let there be any more ambiguities in communications than are absolutely necessary. Work hard to make sure that everyone is aligned and understands the mission, their part in it and what others are responsible for as well. Walk the walk. Whenever you see the opportunity, put the employee first. Fly the remote employees and their spouses in for the annual kickoff meeting. Take your direct reports to dinner or a ball game. Include their families in activities. When you see an employee out at the same restaurant where you are dining, pay for their dinner. Make sure your team knows that you value their work/life balance as much as they do through your words and actions. Simple, yet difficult. Done right it will make working at your company, and being a leader for your teams, so much more fun and so rewarding! 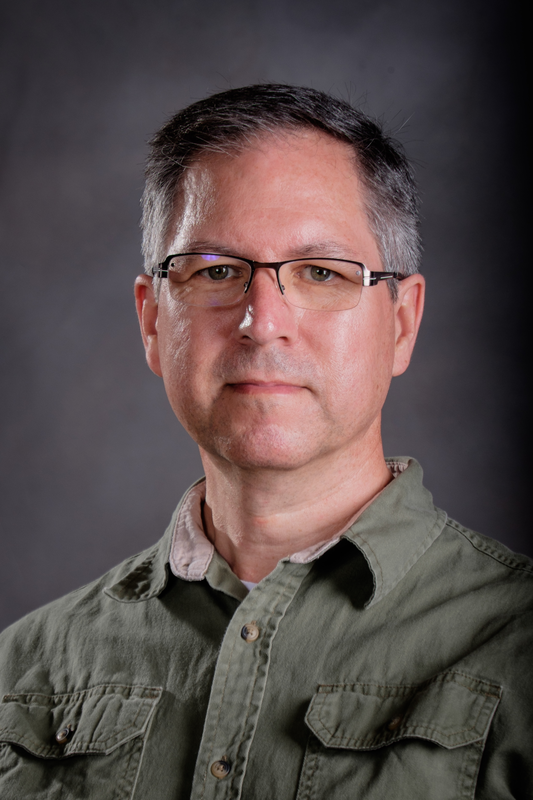 John Vancil is a twenty-five year veteran of the Information Technology field, currently holding the position of Director of Professional Services for Open Systems Technologies (OST) in Grand Rapids Michigan. During his career, John has held numerous development, support, management and staff level positions with companies ranging from enterprise (Electronic Data Systems, Baan) to the SMB space (Nucraft Furniture, OST). Today John is responsible for a $20 million dollar services operation which encompasses Data Center Solutions, Application Development, ERP and Advisory Services, BMC/Enterprise Technology Management, Security and Managed Services. As a servant leader, John has helped OST to grow service revenues by greater than 25% per year for the last three years, while maintaining a client satisfaction score of 9.78 on a scale of 10. John shares his life with wife Amy, daughter Catherine and Lambeau the world’s most exuberant Golden Retriever. When he is not attending to the needs of his teams at OST, John likes to golf, fly-fish, compose and perform music and hang out with the family.